Have you notice any strange odors lately at work? Bosses of a publishing firm are trying to find out why no one noticed that one of their employees had been sitting dead at his desk for FIVE DAYS before anyone asked if he was feeling okay. George Turklebaum, 51, who had been employed as a proofreader at a New York firm for 30 years, had a heart attack in the open-plan office he shared with 23 other workers. He quietly passed away on Monday, but nobody noticed until Saturday morning when an office cleaner asked why he was still working during the weekend. His boss, Elliot Wachiaski, said: "George was always the first guy in each morning and the last to leave at night, so no one found it unusual that he was in the same position all that time and didn't say anything. He was always absorbed in his work and kept pretty much to himself." A post mortem examination revealed that he had been dead for five days after suffering a coronary. Ironically, George was proofreading manuscripts of medical textbooks when he died. It's a disturbing article. How could anyone die and go unnoticed for five days??? However, like so many "unbelievable" stories that are circulated, this one is merely another "urban legend." It's not true (for further info on this story, you can visit this site: http://www.snopes2.com/horrors/gruesome/fivedays.htm). We all live and work around people who have died. The truth is, though, we all live and work around people who have died — and no one seems to have noticed. 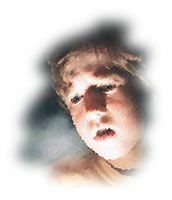 Like the boy in the movie, "The Sixth Sense," we can honestly say, "I see dead people." We can see people who have died in their trespasses and sins, people who have died to the things of God, and people who have died to a sense of doing what is good and right. But, this death does not have to be the end. There is hope for true life — read on in Ephesians 2. The question is this: Do we care enough to notice that people around us are dead and in need of the life that God provides? Or do we go on about our business with no sense of the spiritual condition of others? Just to be on the safe side, you may want to give your co-workers a nudge occasionally. "I See Dead People" by Alan Smith is licensed under a Creative Commons License. Heartlight encourages you to share this material with others in church bulletins, personal emails, and other non-commercial uses. Please see our Usage Guidelines for more information.